Invitation: Blogging Workshop at IHC! 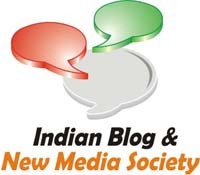 T he Indian Blog & New Media Society is pleased to invite you to a 3-day Blogging workshop at the India Habitat Center, New Delhi. Following up on last month’s BlogCamp, this is another effort by IBNMS to enable blogging enthusiasts – both rookie and experienced – leverage this medium for both personal and professional reasons. All sessions will be highly interactive, allowing participants to raise specific queries and also to try their hand at what is being discussed (you will need to carry a laptop and datacard if possible for this). The necessary information is given below. We look forward to having you join us at the event. How do you make your blog more visible? How do you generate greater traffic? How do you get comments on your blog? What is SEO? How do you generate advertising for your blog? Benefits Of Blogging For Executives, Businesses And Professionals; How to Make Money As A Blogger, Using blogs for personal and corporate branding. Engaging with stakeholders through blogs. Using blogs as a PR and communication tool. There is no attendance or registration fee. You can register on the spot, or in advance by sending a mail to ibnms.in@gmail.com. You may attend one or more sessions. WANT TO VOLUNTEER / SPEAK? If you would like to speak at any of the sessions above, do let us know and we will be happy to consider you for the same. And we are always looking for volunteers – call us if you can spare some time. And do help us by spreading the word around. Any sponsorships are always welcome. Geez, Thanks for the useful input!